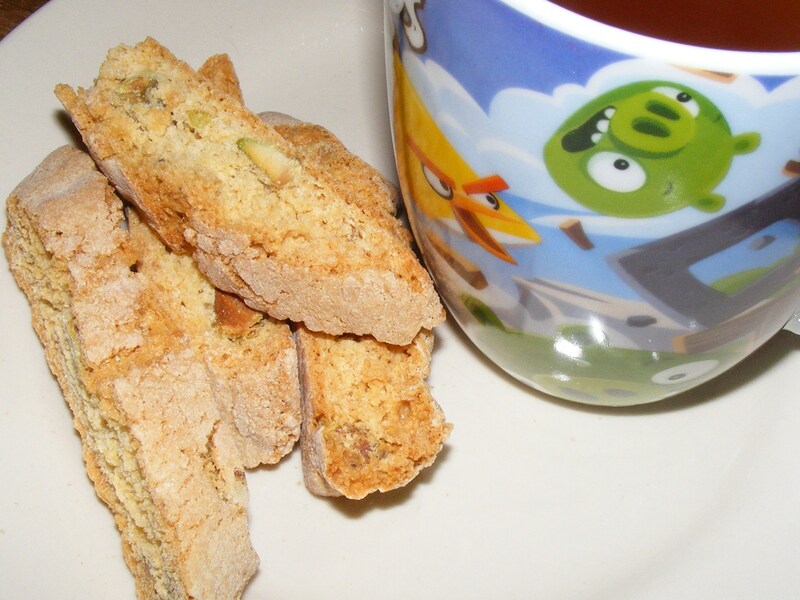 Now that I have discovered how to make biscotti it has become a bit of an addiction, rather like playing Angry Birds! Since the biscotti are so versatile and keep so well in an air-tight container they are the perfect treat for my sugarcraft class. Each week once the ladies have got underway I make everyone a hot drink and offer them whatever goodie I have. I used to make scones, brownies or sponge cakes but my class has grown so much that the most cost-effective treat is biscuits especially biscotti. Place the flour, sugar & baking powder in a mixing bowl then a stir in the eggs and lemon oil until a soft dough forms.